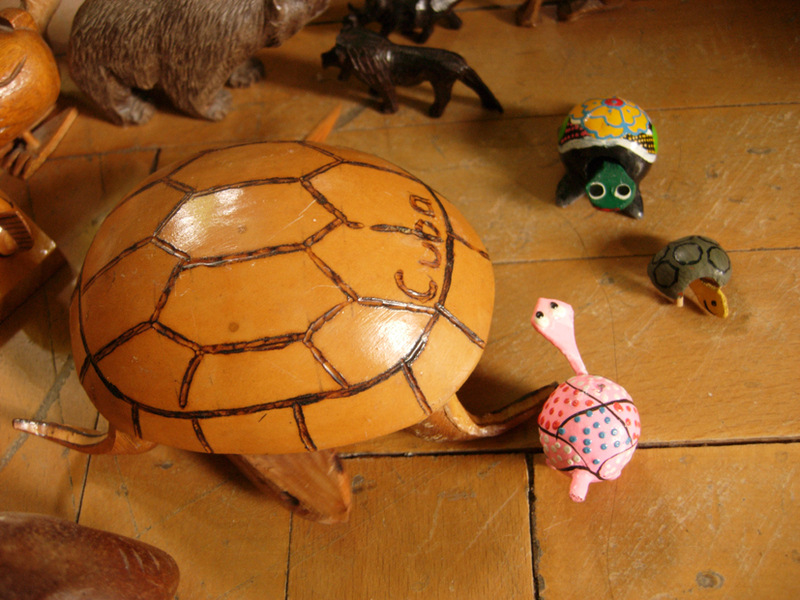 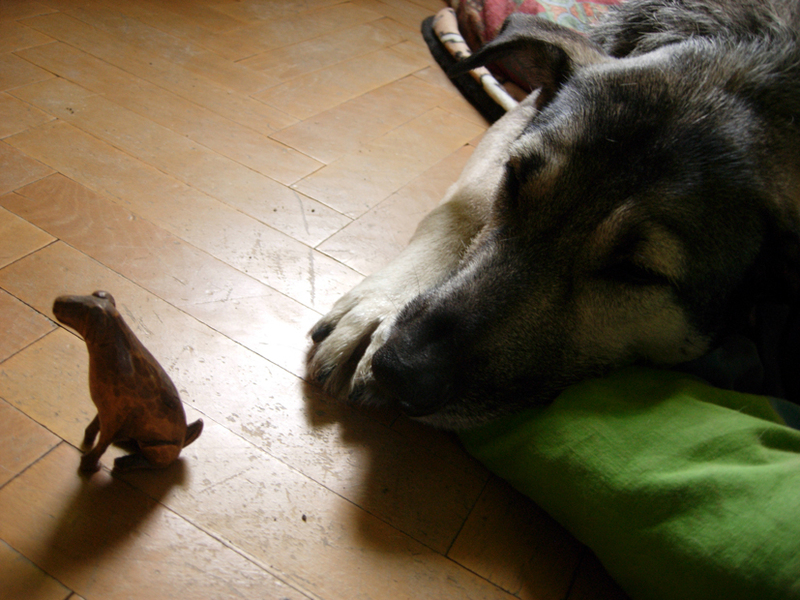 I collect vintage wooden animals. 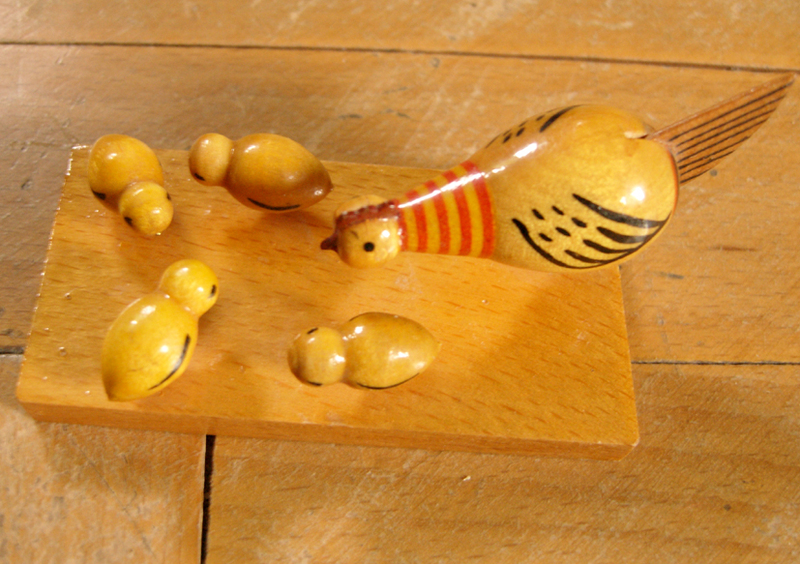 I don’t mind if they are slightly damaged (as many of the ones I have are), actually I really like to buy something that wouldn’t be appreciated in general, but which is very nice in the context of my collection. 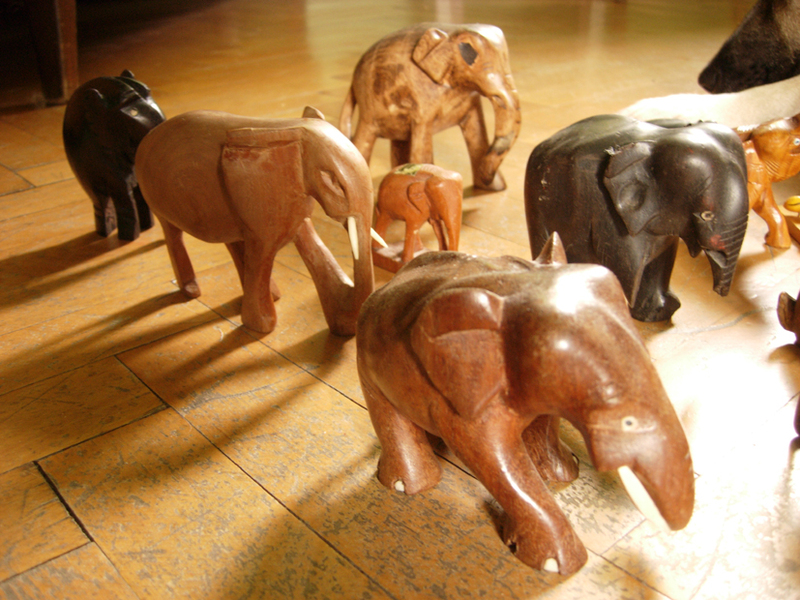 I really like the textures of the old wood and the way these animals are carved. 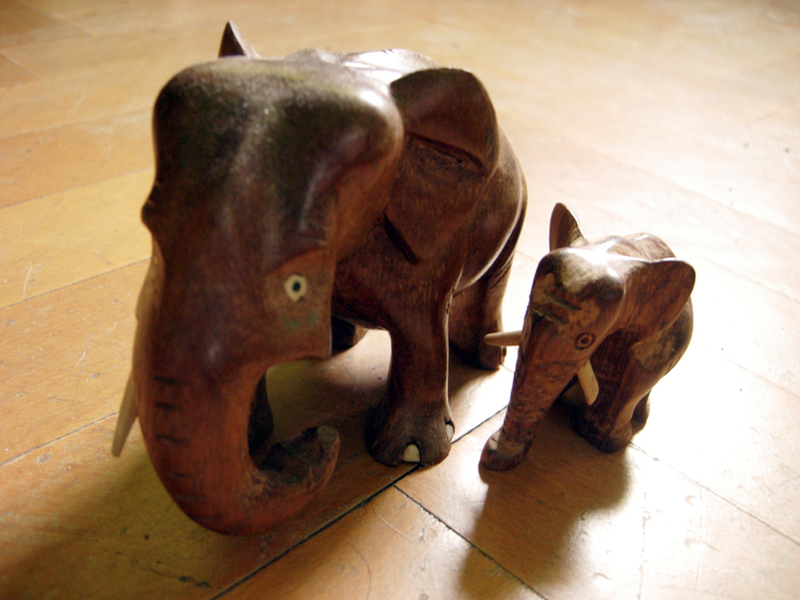 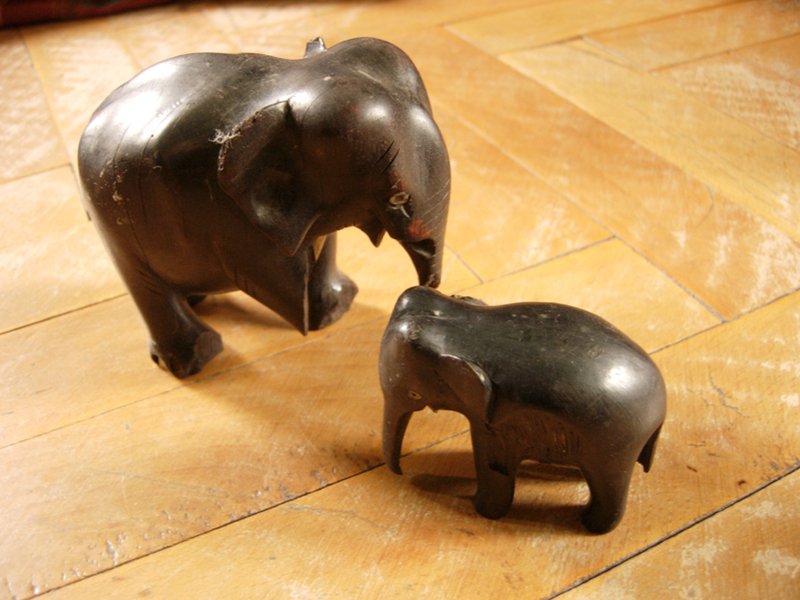 Most often I find elephants, some from beautiful heavy wood like ebony, some of them with clean modernist shapes, others with really funny and endearing faces. 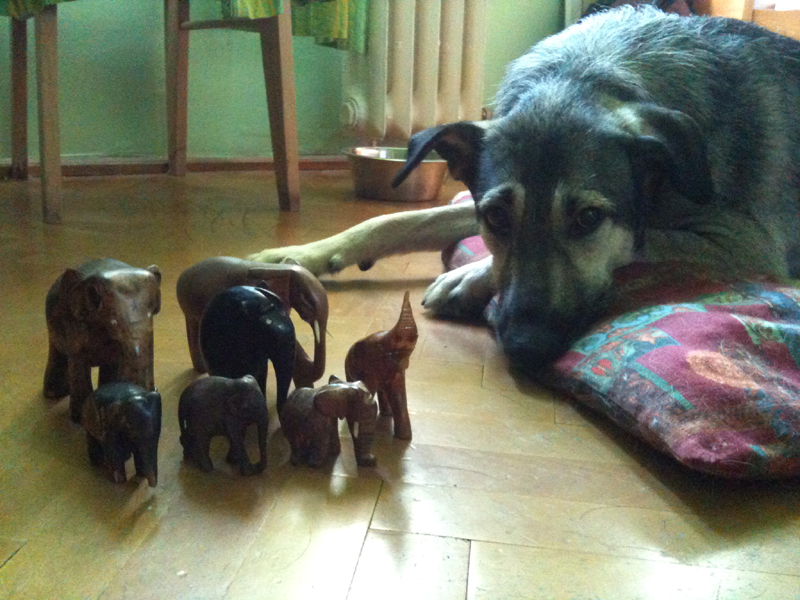 But I have found other animals, too. 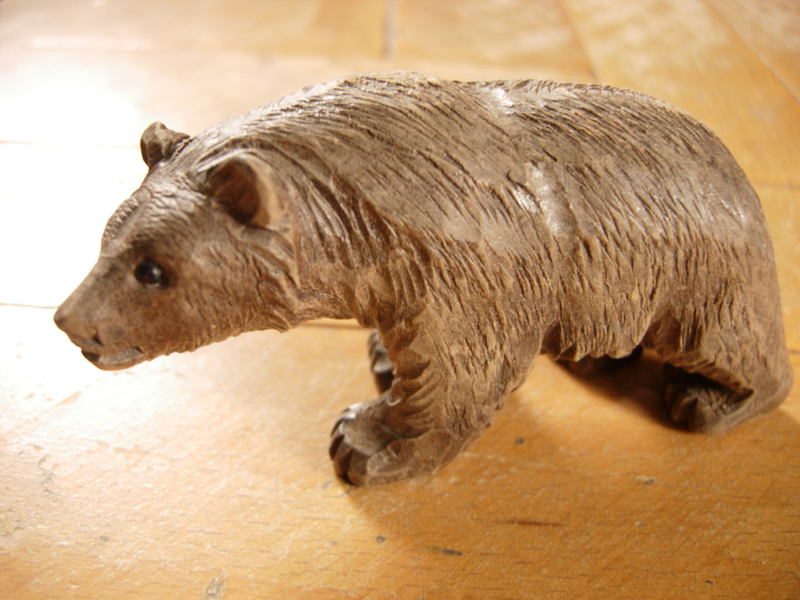 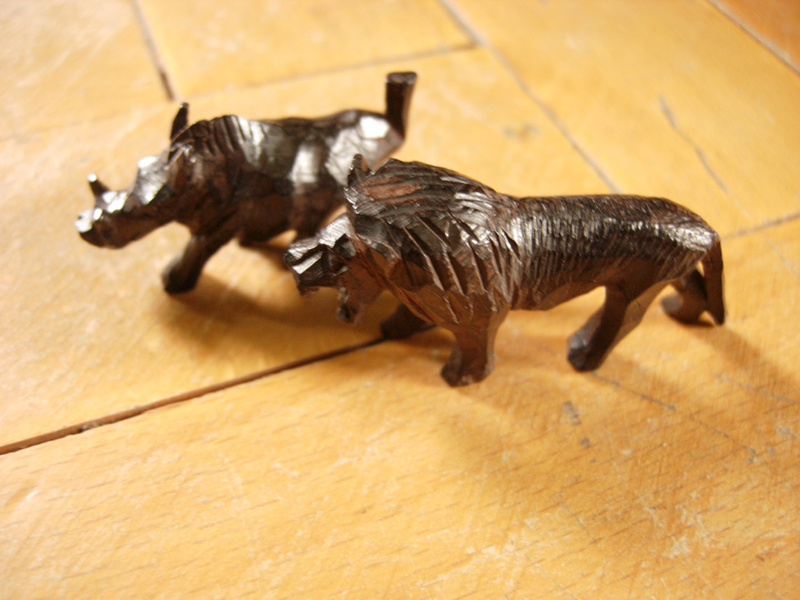 The lion, rhino and bear are really small, but the bear especially is quite detailed. 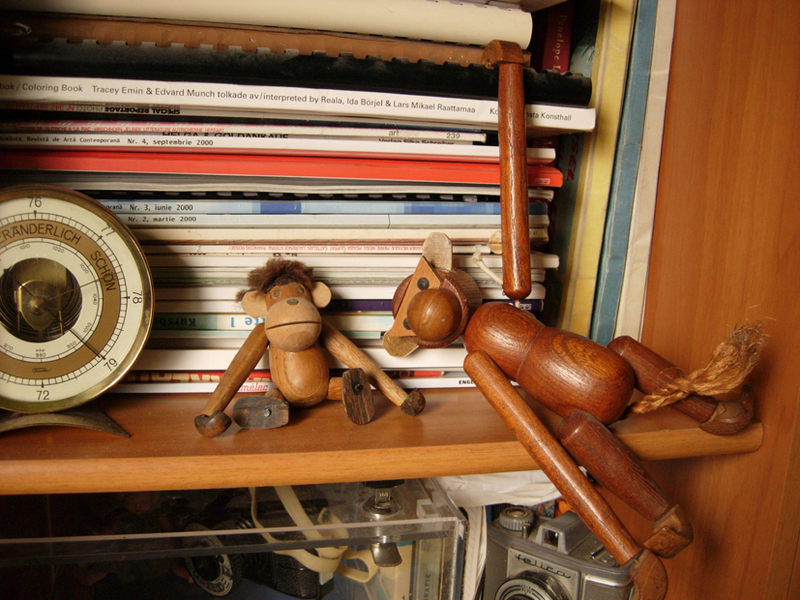 The two monkeys were found in different occasions. 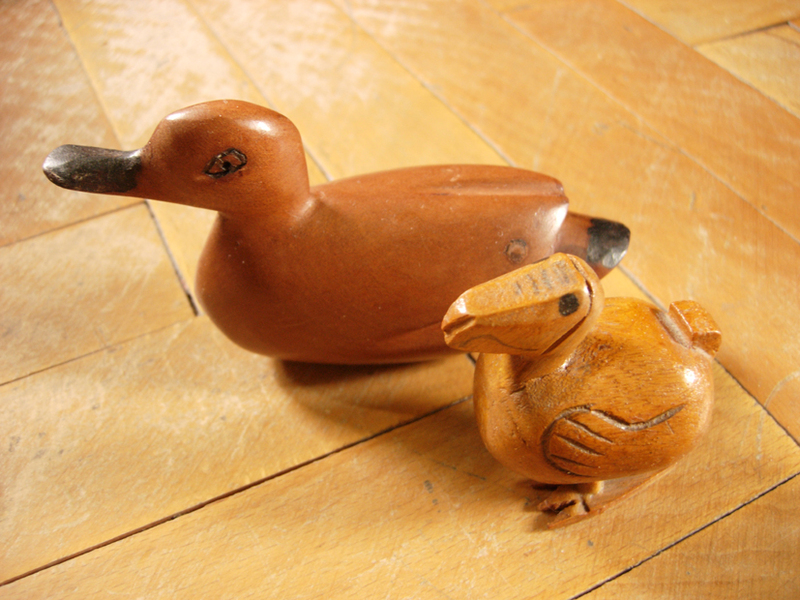 The bigger one is from a vintage shop. 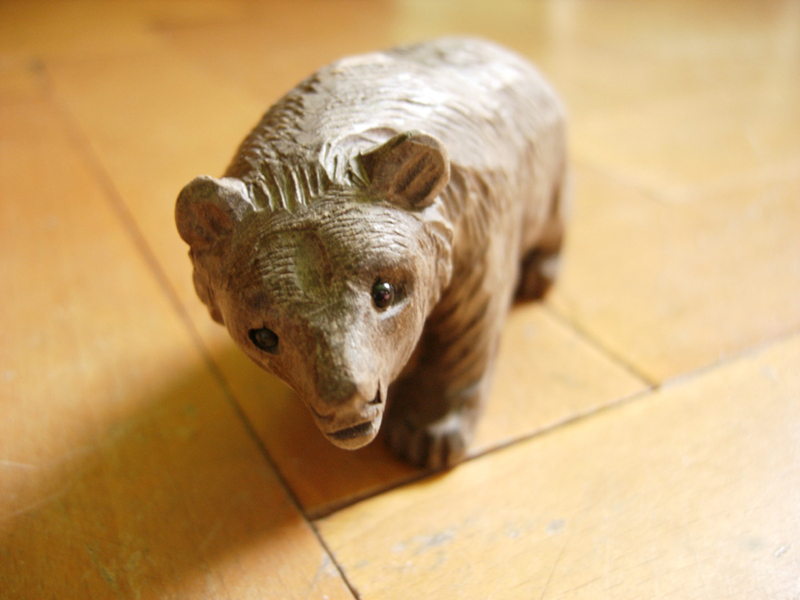 I found it without ears. 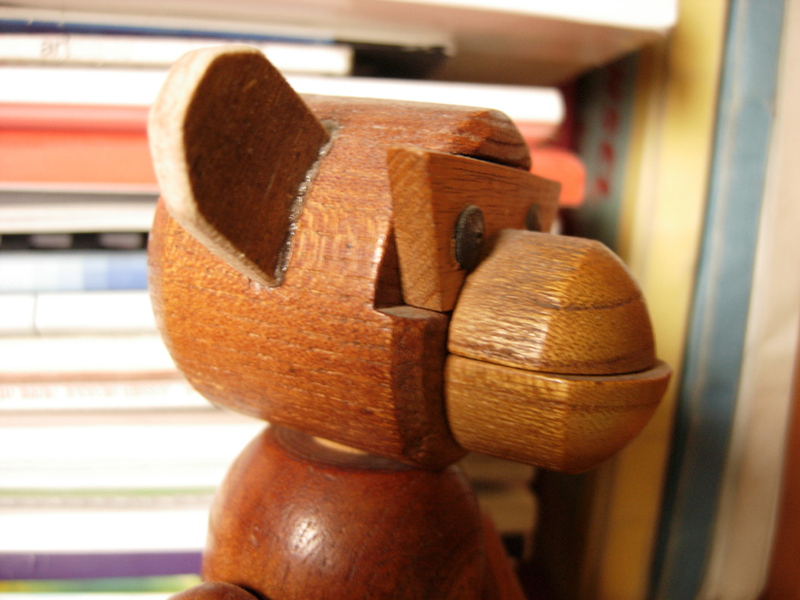 We searched a place were they recycle wood and we found a right piece of wood, of the correct thickness and actually from the same period as the monkey to cut out some new ears from it. 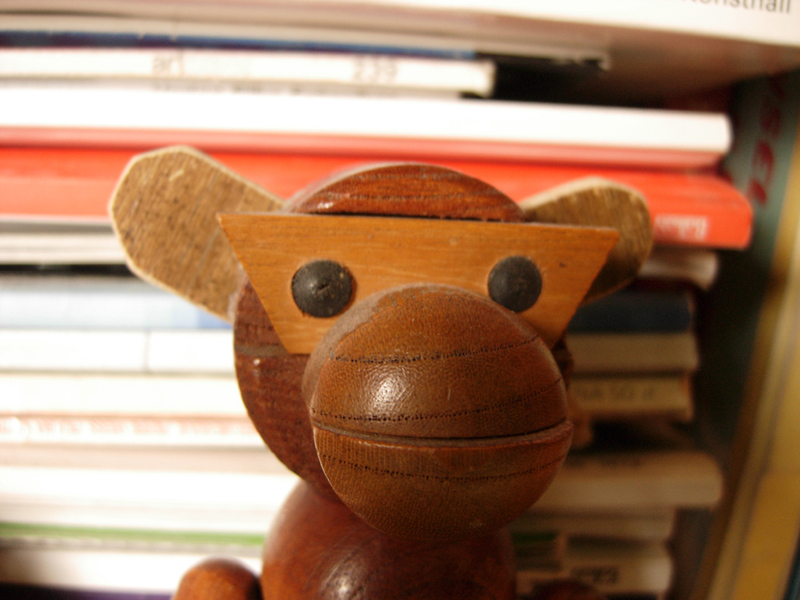 It is not really a Kay Bojesen monkey, it is a made in Japan copy but it was made in the same period, in the fifties or sixties. 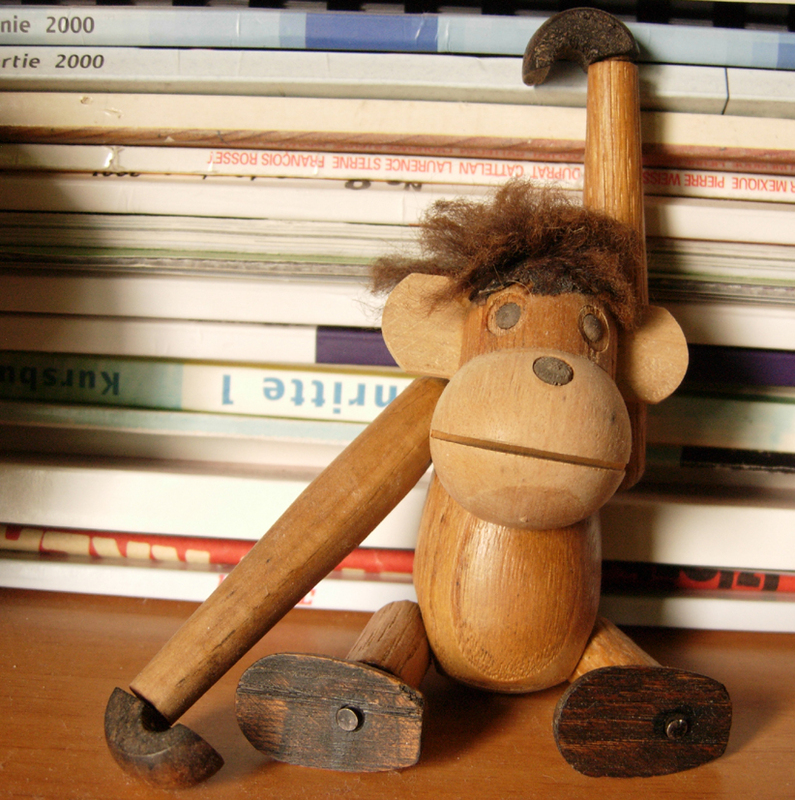 The small monkey, a flea market find, is a Hans Bolling monkey, and except that it was really dirty when I have found it (and it spent some time in bags in the freezer and then it took a really good bath) it’s in quite an ok shape.